Striking a Chord with Quotations: Author Compiles Sayings Meant to Get Readers Thinking. From movies, books and conversations, people often learn new sayings or discover a profound piece of advice that resonates within. 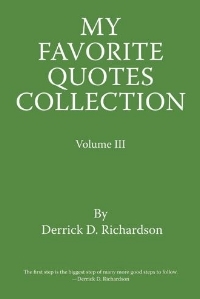 My books, Volume I, Volume II and Volume III, each include more than 100 quotations for readers to ponder. These books are full of “real-life” sayings and thought-provoking tidbits that catapult the mind into a whirlwind of contemplation and fresh ideas. Each page begins with a quotation, and is followed blank space for readers to write down notes about how that particular saying relates to their own lives. With words of wisdom from notables such as Friedrich Nietzsche and Muhammad Ali, and some from me, the author, the quotes are meant for ordinary people who deal with the struggles of every day life. 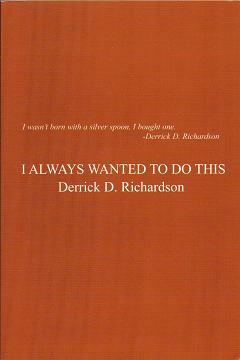 They represent a broad spectrum of topics from my life experiences, to which may readers are able to relate. Whether they are intellectual in nature, inspire one to greatness or produce a hearty laugh; the quotations in Vol. I, Vol. II & Vol III. constitute a memorable collection readers can draw from. I hope to hear of your interest.